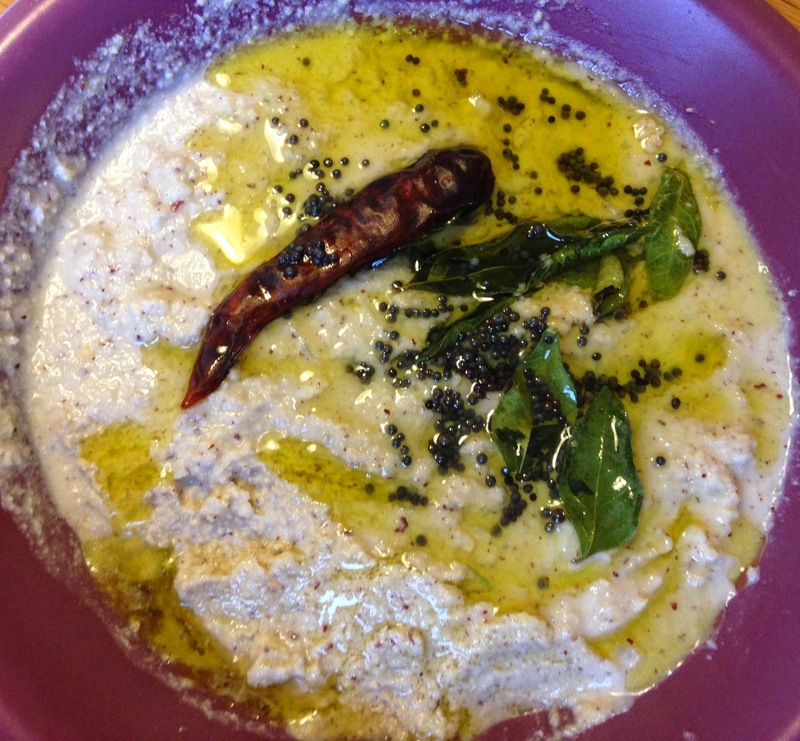 I have been making coconut chutney a lot, to accompany all my South Indian dishes. 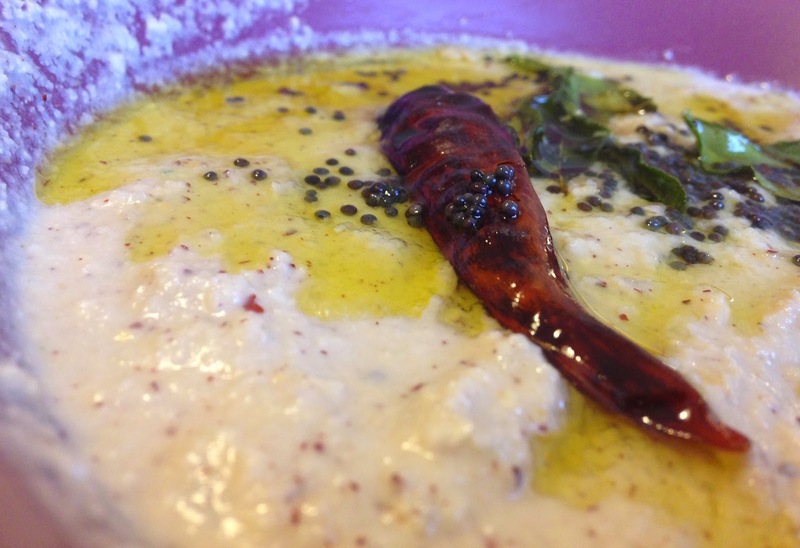 This is my dairy-free recipe of making coconut chutney. Coconut Chutney without yoghurt. Recently when I visited some south Indian friends, they gave me their recipe which I tried out, and never went back to the way I was doing before.. Okay, no.. that's also what I like a lot and I have only made with this recipe twice, it sure did gave a wonderful and different taste. Roasted Bengal gram: 6 tsp. Add the coconut, yoghurt, Bengal gram, Green chilli, coriander leaves, salt and tamarind to the mixer. Add little water if required and grind it to a very smooth paste. Take out in a bowl. Heat oil in a pan and add mustard seeds. When they splutter, add asafoetida, curry leaves and red chilli. Cook for 2 minutes and turn off the heat. Pour this mixture over the chutney and serve ! !